There was a time when it was hard to find a decent cafe in Serangoon Gardens. Back then, we only had 1 pathetic Coffee Bean. Now the brunch hungry have more options e.g. Chillax Cafe, Cedele, The Coffee Daily (read review here) and the pet friendly Sun Ray Cafe. 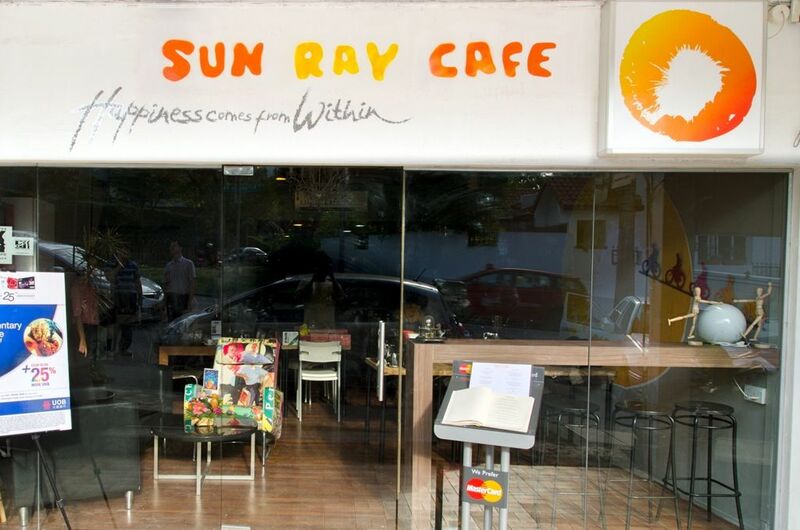 When I first visited Sun Ray Cafe in Feb, it was your typical neighborhood joint, with affordable and hearty western food (among other Asian style dishes) and cosy interior. The food concept was kinda haphazard, along with their mismatched decor. 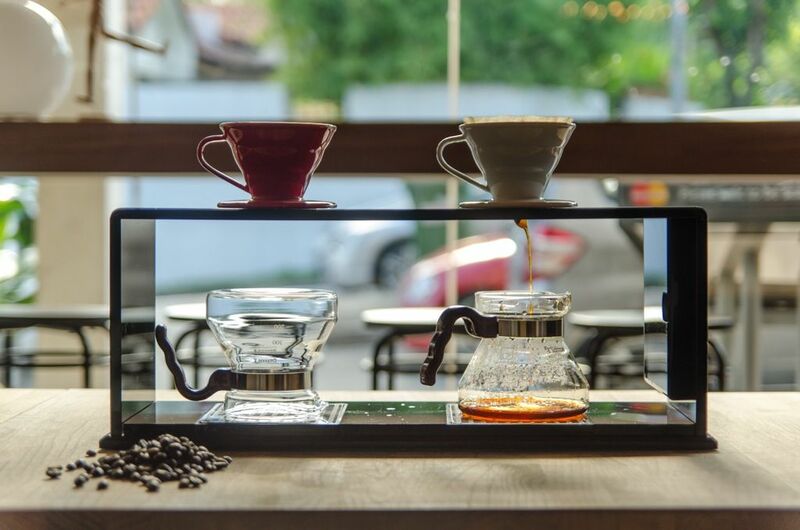 When owner Dave said that he wants to introduce coffee to the mix, i was doubtful it could work, especially with the Coffee Daily just next door and how they've kinda established themselves as THE coffee joint in Gardens. But SRC was determined to make that work and they underwent a 180 degree change. Their recently completed renovation gave the cafe a new chic interior (though cramped) and i was glad to see that the menu is more streamlined and coffee is now playing a bigger role. 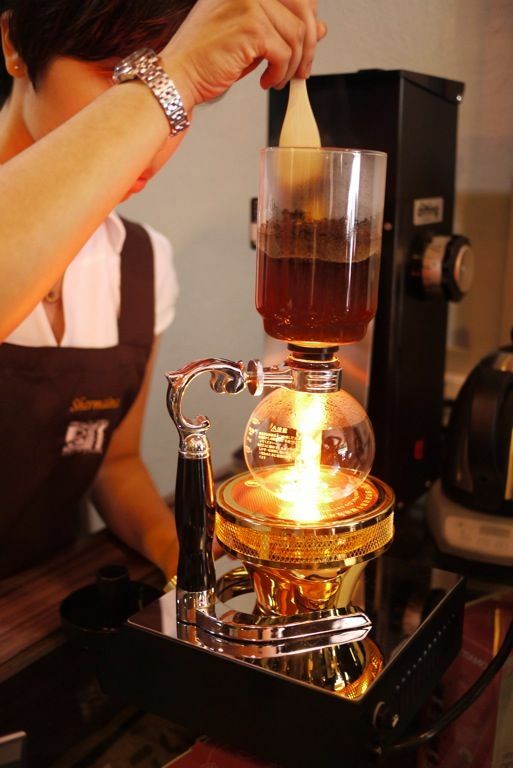 Coffee appreciation courses are conducted here now and you can enjoy various coffee brewed using different techniques such as syphon, cold-brew, French press, and own specialty drip coffee. The folks even have their own custom-roasted blend, called the Brighton blend. Needless to say, i got really high after sampling the various coffees. I quite enjoyed the latte and the iced mocha wasn't too shady as well. 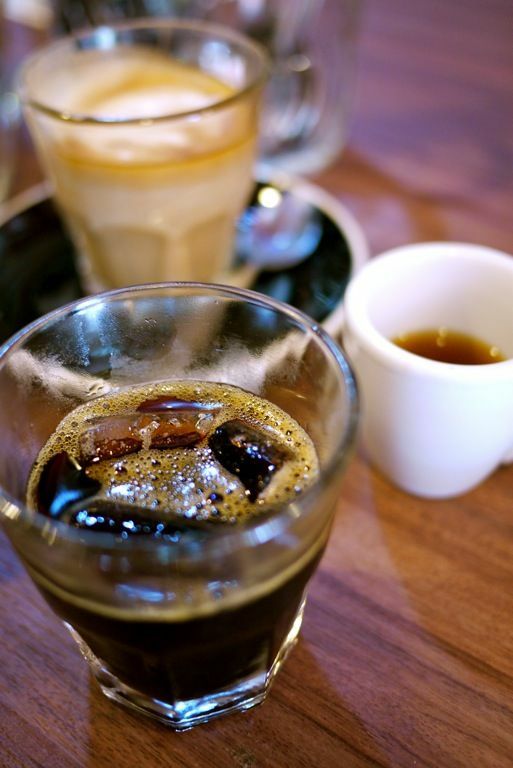 The cold brew will send your brain and heart into overdrive. Try it at your own risk! Now if only they serve better desserts to go with my coffee. After all, a good cafe has to have the entire package and that includes good sweets to accompany the coffee. The homemade scones ($3), which were promised to be crusty and buttery, fell terribly short of my expectation. 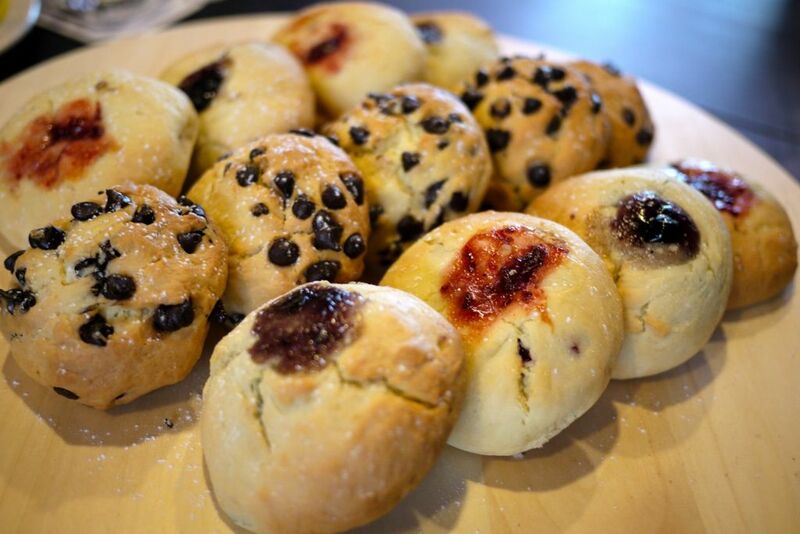 This is not a scone. It's a cross between a bun and a really soft tart. I finished half the chocolate scone because i wanted to eat the chocolate chips. The blueberry and strawberry (or was it raspberry) ones reminded me of the Arnott's tartlets in terms of flavor. The crust was not even as crisp as Artnott's. Meh. I shall not even discuss the cupcakes ($3). Go figure. 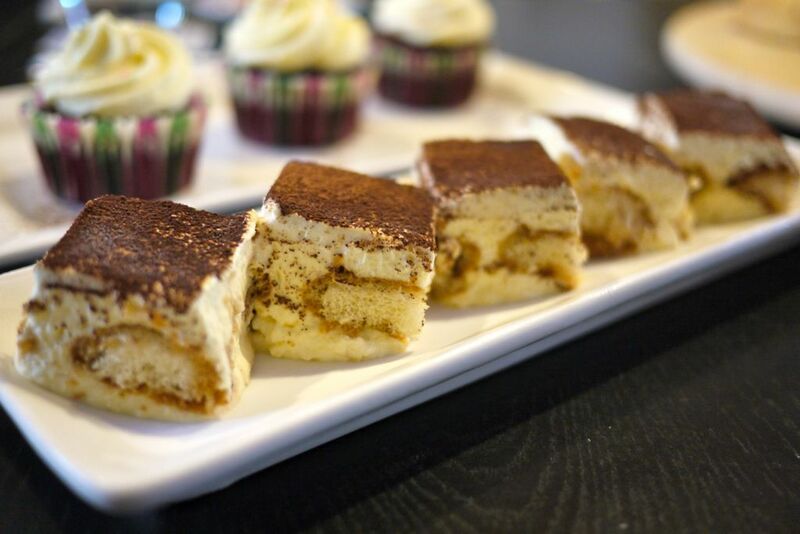 The Tiramisu ($6.50) weren't that bad after they defrosted. I believe SRC is working on adding more coffee to that recipe after our feedback. I shall not nit pick. SRC's focus doesn't seem to be much on the pastries and sweets (yet). They should though if they wanna position themselves as more of a cafe. Anyway, i do think that their main dishes are pretty good given the price and the portion served. 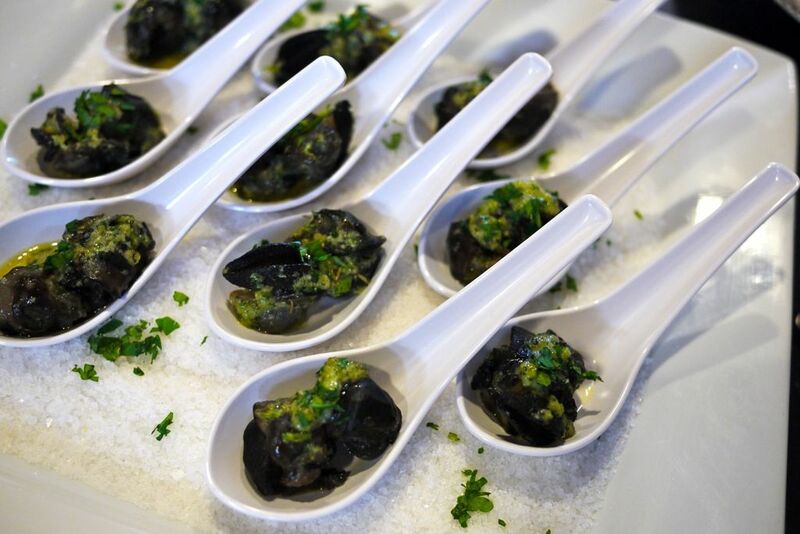 The Oven-Baked Escargots ($8.90 half-dozen | $15.90 one dozen) were well flavored with the garlic and parsley butter. They are typically served in the escargot pot but this was for our tasting purposes. 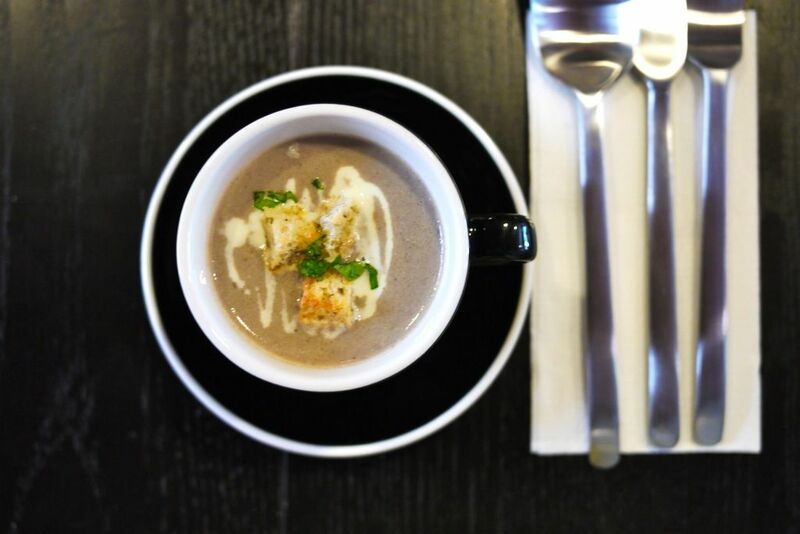 The Wild Mushroom Soup ($7.90) was made fresh and came served with the perfumed truffle oil. I love the thick, creamy and smooth texture and intense flavor of this one. 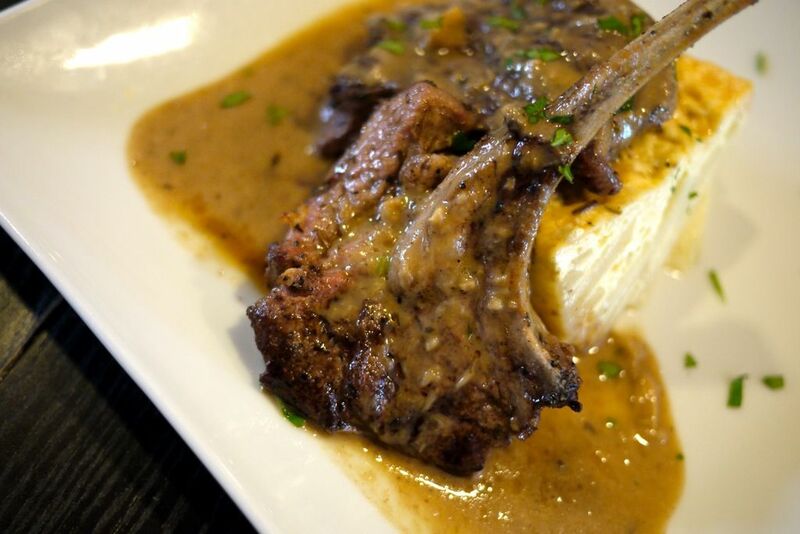 J enjoyed the Cumin Crusted Lamb Rack ($23.90) which was served with ratatouille and rosemary sauce. The meat was tender and didn't have that gamey taste. The Grilled Strip Loin ($23.90) served with potato gratin and the Yorkshire Pork Rack ($23.90) with apple cider sauce both paled in comparison. Both meats were overdone and dry and we simply gave up after 2 bites (you can't say that we didn't give them a second chance). Confit Spring Chicken ($18.90) was alright. Cream sauce and rosemary seasoning. Nothing memorable but it was decent. 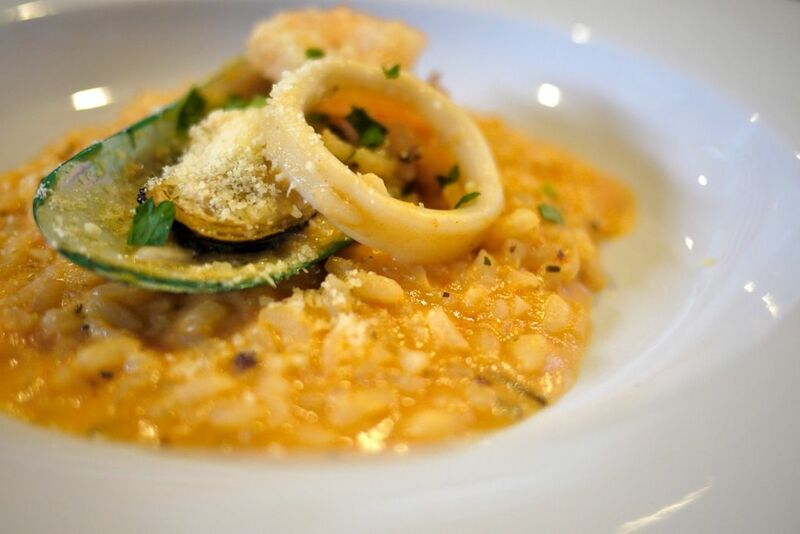 Seafood Risotto ($18.90) is catered to the Singaporean style, which is overcooked and not al dente. The creamy tomato sauce was balanced but the seafood could be fresher. The prawns were fine but the squid and mussels weren't that great. This is a tasting portion so i would expect more ingredients in the usual size. SRC is very generous with their portions btw. Hits and misses at Sun Ray Cafe. I would say go for their coffee and tiramisu. 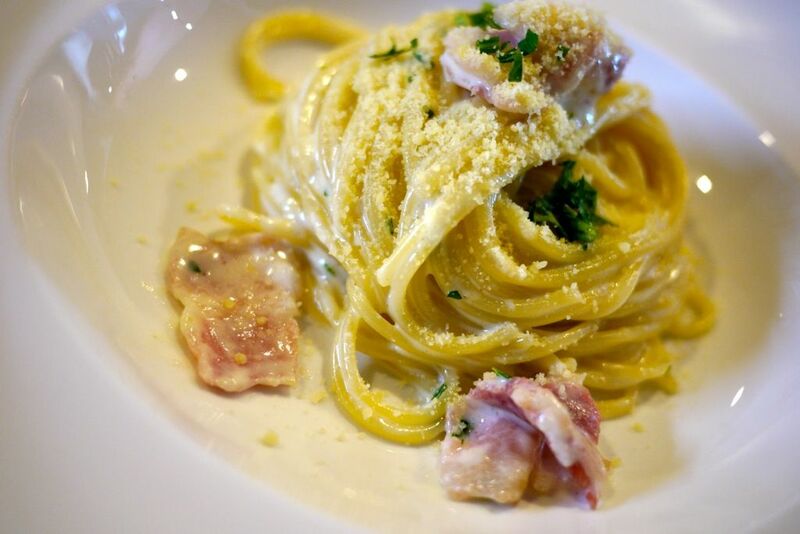 The carbonara and lamb rack are worth dropping by for as well. Plus, here is a special treat for my readers. Like Sun Ray Cafe's FB page, show it to their staff and say "Happiness in a cup"
Shout out to SRC's staff "Happiness at Sun Ray Cafe" and get 15% off your final bill. Promotion is valid till 20 June 2013. Enjoy!